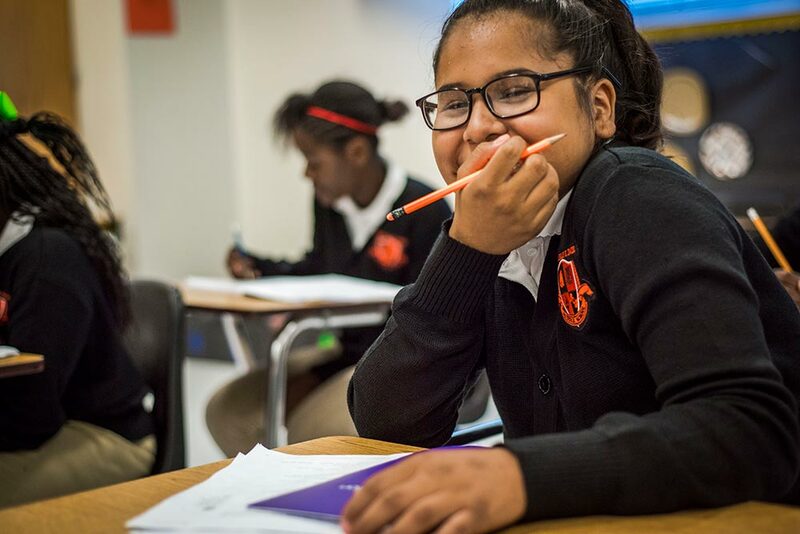 In 2013, when Billy Earl Dade Middle School opened in a blighted, high-poverty neighborhood in South Dallas, it faced a slough of struggles from the start. In its first four years, it went through four principals, and student scores on state tests kept dropping amid discipline problems and a preponderance of novice teachers. The school made the editorial pages of the Dallas Morning News in spring 2015 when a huge brawl among students ended with 15 of them getting pepper sprayed by police. The editorial cited “serious and deep-seated problems” at Dade and called for action to turn the school around. That’s exactly what happened as a result of a pilot program, Accelerating Campus Excellence (ACE). 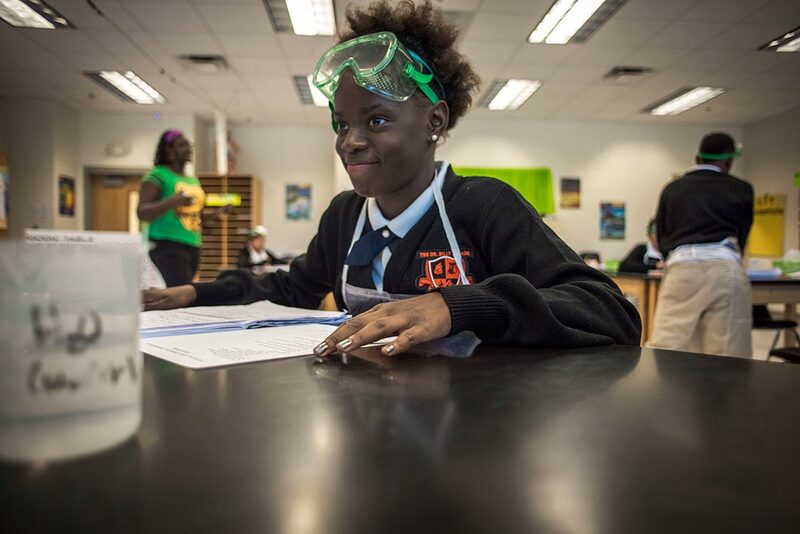 Starting in fall 2015, Dade was one of seven Dallas Independent School District campuses participating in the initiative. This program relocates highly rated teachers and principals in groups to the targeted schools, with meaningful financial stipends as incentives for the move. The influx of teachers — together with an extended school day and other changes — has brought a new culture of high expectations to Dade, which moved off a state list of troubled schools within a year of joining the pilot. 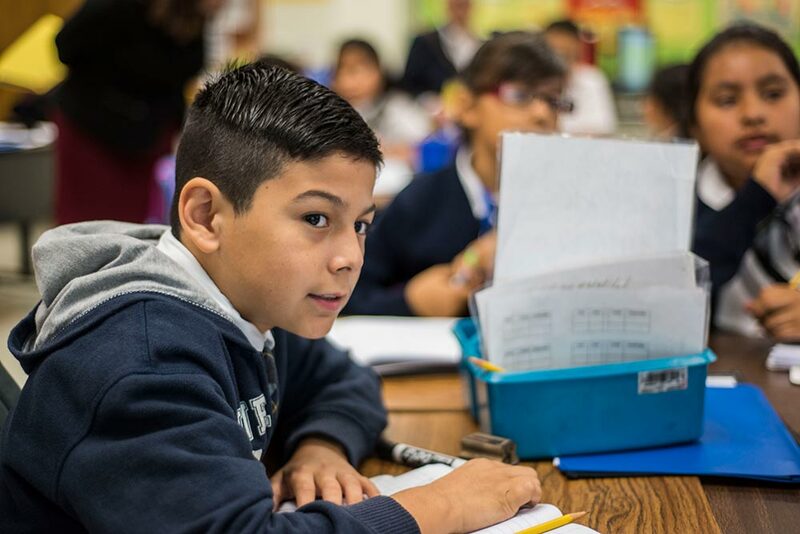 The Dallas Independent School District serves about 160,000 students in 227 schools throughout metropolitan Dallas. It is the 13th largest school district in the country; nine in 10 students are Latino and African American. 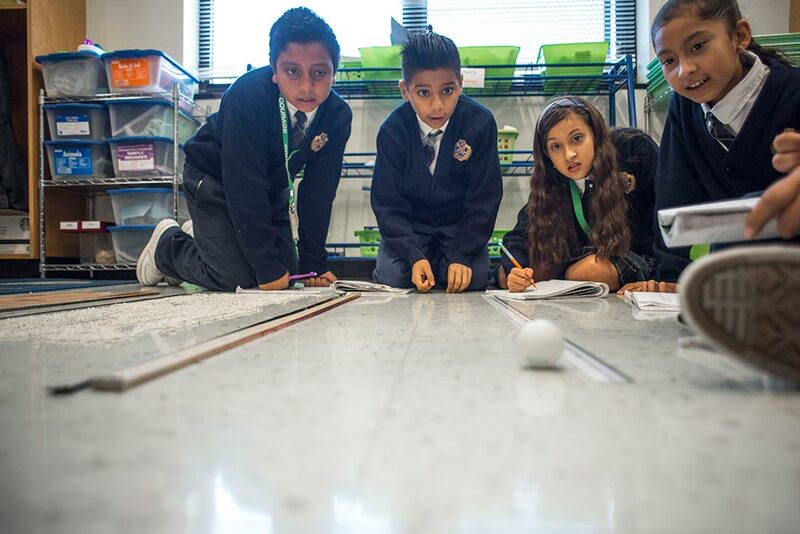 In a 2015 assessment, the Texas Education Agency placed 37 of Dallas’s schools (or 16 percent) on its “improvement required” list based on student achievement. Across the district, African American students were twice as likely as their peers to be enrolled in a school on the list. Over the last several years, the district has experimented with numerous strategies to bring more resources, attention and professional development to its struggling schools. But the results were spotty, and schools that moved off the “improvement required” list were soon back on it. Over time, the district came to understand that a key barrier to lasting change in these schools was the quality of teaching and instruction. Dallas was facing a conundrum common in large urban districts across the country. Highly rated teachers who will make the same salary regardless of where they teach will generally choose to work at highly rated schools. More often than not, these are schools where concentrated poverty is less of an issue and where students face fewer barriers to learning and achievement. “It shouldn’t be surprising, but the fact is that students who often need the most effective teachers generally don’t have them,” Garrett Landry said. A former Dallas school district official, Landry helped launch the turnaround initiative before joining the staff of the Williams Family Foundation. The foundation is led by Todd Williams, executive director of Dallas’s Commit! Partnership, a member of the StriveTogether Cradle to Career Network. 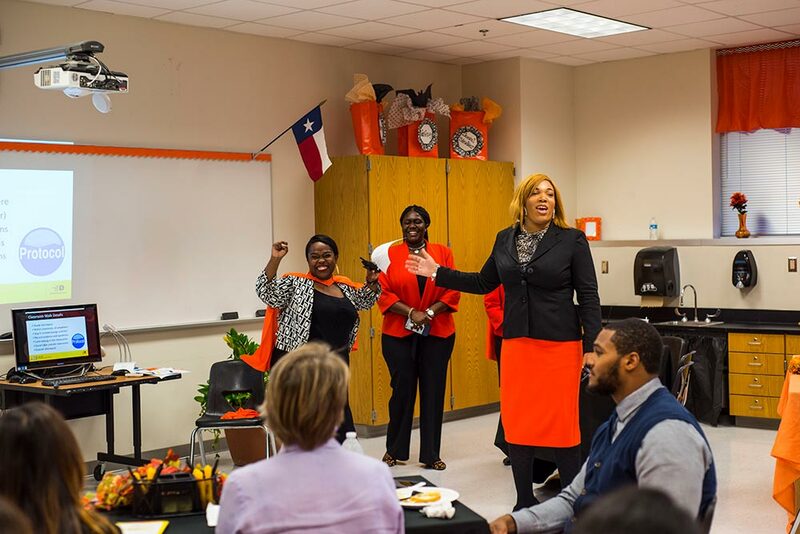 During the 2014-15 school year, Landry and other district leaders started talking with teachers, principals and other partners about how to encourage more highly rated teachers to move to Dallas’s struggling schools. These conversations coincided with the launch of a new district-wide evaluation and compensation system for teachers. The assessment relies on principal and student surveys and measures of student achievement growth to create a comprehensive assessment of teacher performance. 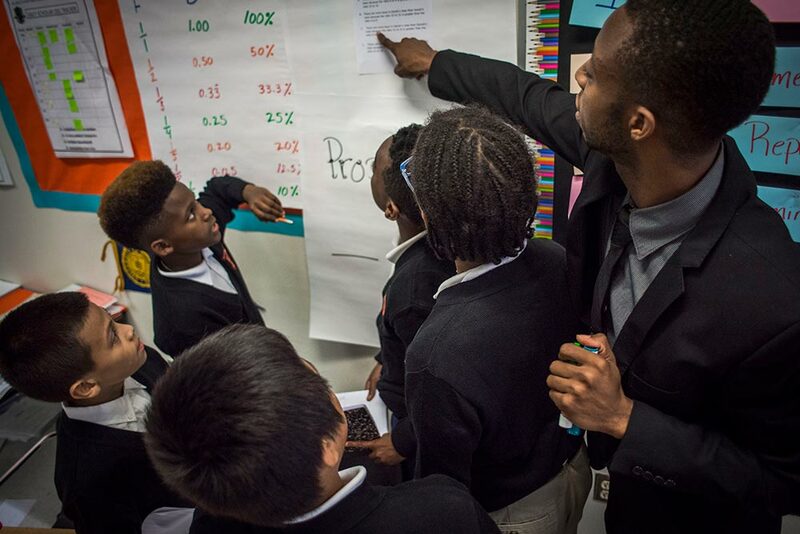 Through conversations and outreach, the district found that high-performing teachers would consider working at underperforming schools based on two key considerations. First, they wanted to know the school had strong leadership at the principal and assistant principal levels. Second, they wanted assurances that existing teachers at the school shared their commitment to excellence and improvement. When asked about additional pay, given the challenges of working in a turnaround school, the teachers suggested stipends in the range of $10,000 to $15,000. When ACE launched in fall 2015, each of the seven targeted schools, including four elementary schools and three middle schools, had carried the state’s “improvement required” designation for three or more years consecutively. Collectively, the seven schools serve a population that is overwhelmingly students of color (41 percent Latino and 57 percent African American) and economically disadvantaged (92 percent). The ACE program offers annual stipends ranging from $8,000 to $15,000 (with the amount based on teacher evaluation ratings) for teachers to relocate to one of the targeted schools. The school district also assigned new leadership to the schools, with its selection of principals based on their track record at other campuses. Teachers already working at the targeted schools could interview for their position and received a stipend as well if selected. In the end, roughly 85 percent of teachers on the ACE campuses during 2015-16 relocated from other schools. Landry said moving new teachers into the schools en masse is “the centerpiece strategy” for the ACE program. “We had seen models where districts moved one or two teachers at a time, but they weren’t able to have an impact in schools where nothing else really changed,” Landry explained. He added that the number of teachers who could transfer to an ACE school from a non-ACE school was capped at four to make sure other campuses didn’t experience an exodus of great teachers because of the program. 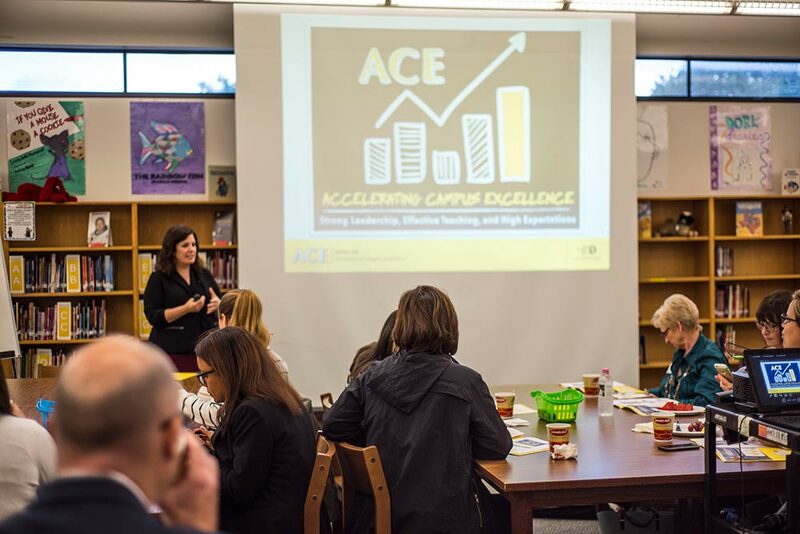 In addition to new leadership and an influx of highly rated teachers, the ACE program spurred other important changes. For example, each campus adopted an extended school day, with an extra hour of instruction and targeted intervention for students, along with after-school enrichment opportunities, tutoring and homework support until 6 p.m. Schools also provide dinner and transportation at the end of the day. In other changes, the ACE schools receive funding for counselors to provide ramped-up support for students’ social and emotional health. Also, teachers at the schools are enrolled in enhanced professional development and group learning activities. Last but not least, all seven ACE schools were taken out of their existing high school feeder patterns to form a cohort of their own. The district assigned Jolee Healey as executive director of the ACE program feeder pattern. A former teacher and principal in Dallas, Healey is in the ACE schools every day. The seven principals meet once a month with her to review student performance data, share best practices and compare challenges and successes. The Dallas Independent School District’s hard work and efforts are paying off. Following the 2015-16 school year, six of the seven ACE schools moved off the state’s “improvement required” list. What’s more, four of the schools received statewide “distinction” designations for outstanding performance after just one year in the program. At the ACE elementary schools, the number of students in kindergarten and first and second grades who were reading at or higher than grade level jumped by 30 percent on average. And all of the schools saw gains in student scores on state subject tests, with an average increase of 16 percentage points. During 2016-17, the seven ACE schools continued receiving additional support from the school district to ensure that they can sustain their gains and stay off the “improvement required” list. The current plan is for these schools to stay in the program for three years before returning to their regular high school feeder patterns. The teacher stipends will phase out after the third year, but teacher surveys indicate that most of the teachers in these schools will want to stay in their current positions after the ACE program ends. Among the key factors teachers point to for wanting to keep teaching in these schools are strong leadership and a positive school culture. Due to budget constraints, no schools were added to the ACE program for 2016-17, but plans are in the works to expand to six additional schools for 2017-18. The initiative is spreading to other cities too. In early 2017, the Fort Worth school district announced plans to apply the ACE model at five struggling schools in its community. Fort Worth’s embrace of the model followed a convening hosted by Dallas’s Commit! Partnership where school superintendents in the region learned about the ACE program’s success.